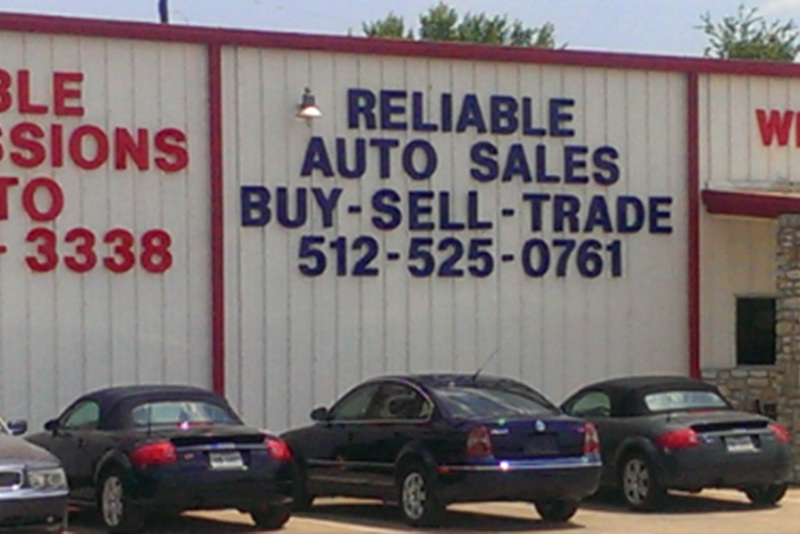 Reliable Auto Sales sells quality and reliable used cars to those in and around the Austin, Texas area. We are your go-to BUY HERE PAY HERE car dealership in Austin! Our wide selection of inventory allows us to better meet your needs for a better car buying experience. With multiple financing options as well as buy here pay here options, Reliable Auto Sales can help you get on the road faster in your dream car. All of our vehicles go through a comprehensive inspection by our sister company Reliable Transmission & Automotive to ensure they are mechanically sound and safe to be on the road. Reliable Transmission & Automotive is located at the same property as Reliable Auto Sales, offering our Auto Sales customers a great option for transmission and automotive repairs if they are needed in the future.